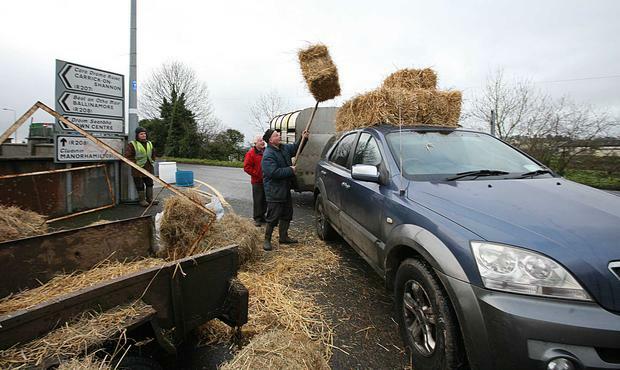 IFA President Joe Healy has announced an emergency fodder initiative, where IFA will mobilise its national county and branch network to support those farmers in most difficulty. Counties have been twinned with a view to identifying farmers who are in a position to contribute feed, to be transported to areas in need. Joe Healy said it is disappointing that the Minister has to date failed to support a meal voucher system which we strongly believe would have been the best and most efficient solution. "We are now seeking a commitment from the Minister to fund the cost of transporting the fodder to the areas in need as part of this interim initiative”. Joe Healy said the initiative is designed to provide fodder for those in dire need in the coming weeks to get them over Christmas and the New Year. County Chairmen and branch officers in areas of the country not affected to the same extent with the fodder crisis will identify farmers who are prepared to provide even small amounts of feed at a reasonable agreed fixed price. The counties chairs in the affected counties met with Minister Creed and attended the recent fodder action meeting in Sligo, but there has yet to be a tangible outcome to these meetings. County Chairmen in counties/regions with feed to contribute will link up the County Chairmen in the areas requiring feed urgently to organise delivery and distribution of the fodder to those farmers currently in urgent need .